A softer take on the popular model. Always looking to add to its lineup of Air Max 95 colorways, Nike recently gave the widely popular model a “Teal/Royal” makeover. 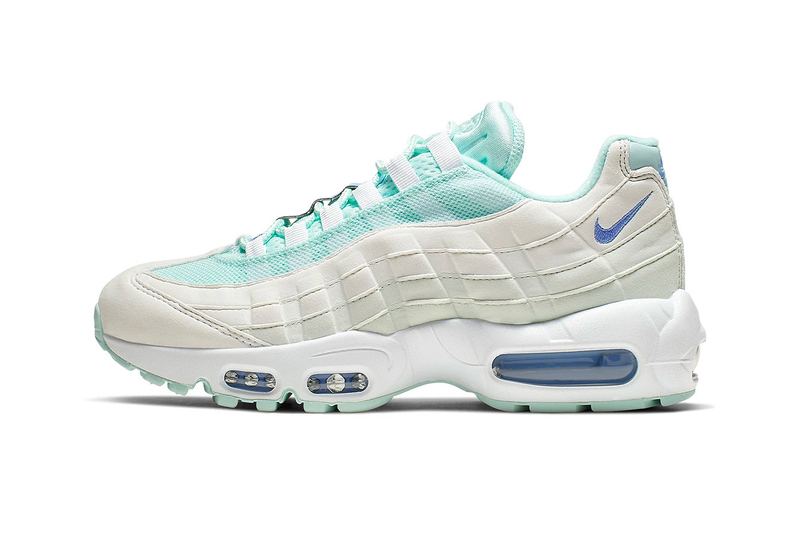 This time around, the upper of the shoe features a light teal tint mesh base decorated with off white nubuck panels that make up the dynamic line detailing synonymous with the AM95. Decorative light blue hits come in the form of reflective lace holders, Swoosh and Nike Air branding around the heel. Rounding up the design of the shoes are white midsoles with light blue visible Air units and teal rubber outsoles. No pricing details just yet, but look for the Nike Air Max 95 “Teal/Royal” to hit nike.com and select retailers in the next few weeks. For more Nike news, Air Fear of God “Shoot Around” is coming in a “Wheat Gold” colorway. Diamond eyeglasses and “grown man” watches. The latest from the Scandinavian label. Omar Apollo Drops Funk-Filled New Single "Ashamed"
Ahead of his upcoming North American tour.